Frankfurt is a major financial hub that's home to the European Central Bank. Located on the banks of River Main in Germany, Frankfurt is an alpha city that's known for its startup culture, e-commerce scene, education, tourism, and transportation systems. Students can now register for the KnowledgeHut CSD Certification in Frankfurt and learn in the backdrop of this exciting city brimming with opportunities and innovations. 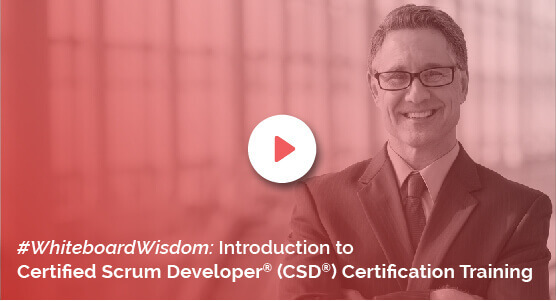 The Scrum Developer Certification by KnowledgeHut is for CSD aspirants and holders of CSM credentials who want to advance their career in Agile technologies and software development. The CSD training in Frankfurt is divided into two career tracks - Track 1 and Track 2. Track 1 covers Scrum basics, discussions on Scrum roles, ceremonies, artefacts, and others; while Track 2 covers discussions on Behavior Acceptance Development and Acceptance Test Driven Development. The CSD Course in Frankfurt will include live lectures, practical sessions and downloadable course material approved by the Scrum Alliance. When you complete our Certified Scrum Developer Training in Frankfurt, you will gain access to a two-year membership to the Scrum Alliance and acquire a total of 40 PDUs and 40 SEUs on completion of both tracks. Holders of the CSM credential can proceed directly to Track 2 and will acquire 24 SEUs and 24 PDUs at the end of the course. In addition, you will be getting a user profile page on the official Scrum Alliance with your certification credentials listed which will boost your chances of future employment. Our Certified Scrum Developer Certification in Frankfurt converts aspirants into professional Scrum Developers. Gain the confidence needed to be a part of this growing industry and immerse yourself in leading industry practices with our Scrum Developer Certification. To enrol in a demo session, contact the KnowledgeHut Academy.